FPV Live Video Camera: equipped with 0.3MP HD camera to take aerial photos and video. Images and videos will be listed in both app and mobile album system. 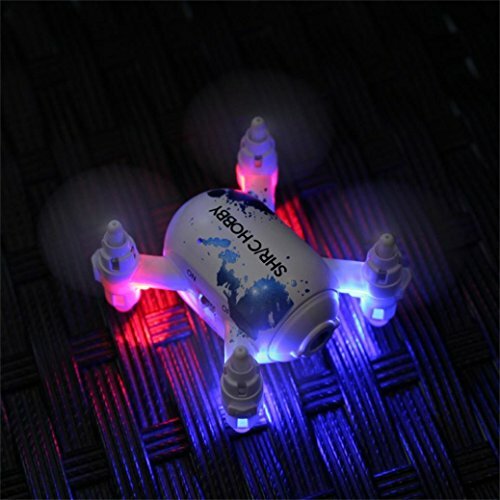 3D Flip: It can roll perfectly in any direction by pressing one button, easy to fly for any kinds of pilots. A good choice especially for kids and beginners. One Key Return Home: Great function when the drone is out of sight. Just press this key, the drone will fly back to the direction where the user pairs the quadcopter.